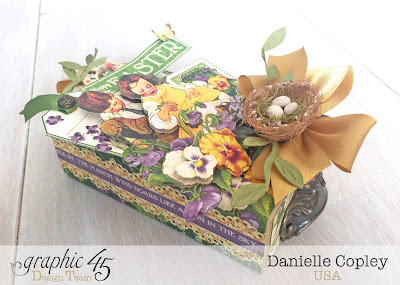 This week Graphic 45 and May Arts Ribbon have teamed up for a blog hop full of inspirational projects and prizes. Using a Graphic 45 Matchbook Box, I created a fun Easter box for candy. 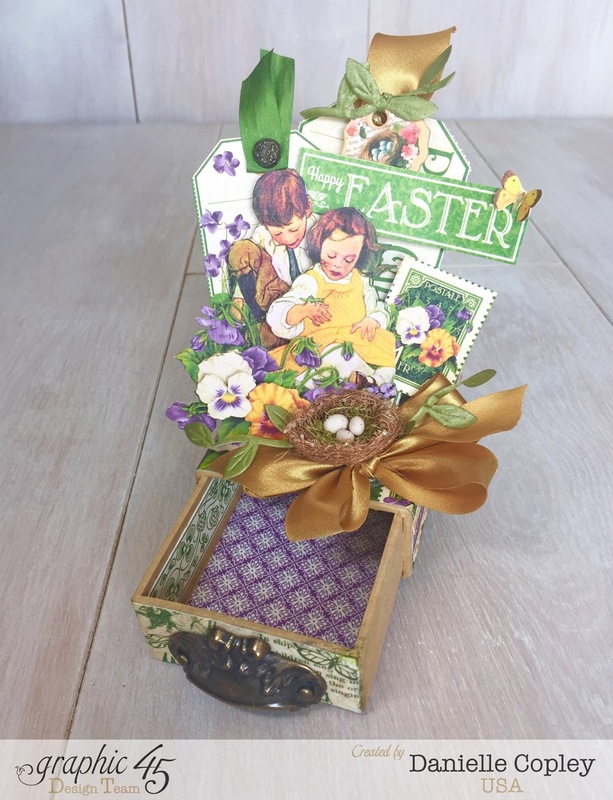 The March sheets of Children’s Hour provided beautiful images to create a layered scene. I love layering multiple bits of fussy cuts of the same image to add a 3-D effect to my little scene. The scene is inspired by traditional Easter activities of children sitting in the grass after Easter egg hunting. 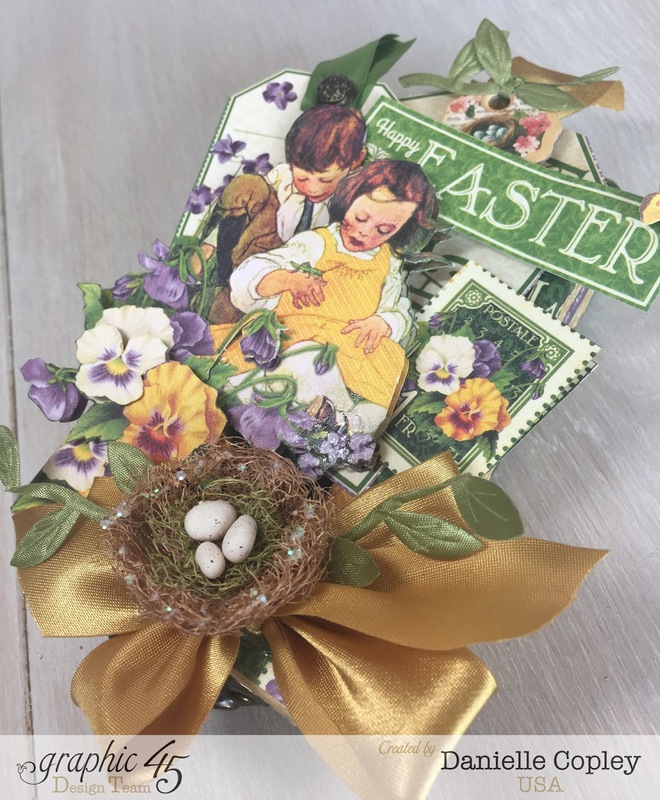 Beautiful May Art ribbons add a festive effect and their unique leaf ribbon is so perfect for surrounding the birds nest. For more detailed pictures, please hop on over to the Graphic 45 Blog. And, don't forget to check out the May Arts Blog and Graphic 45 Facebook Page to see even more inspiration, as well as leaving comments along the way to be in the running for amazing prizes. 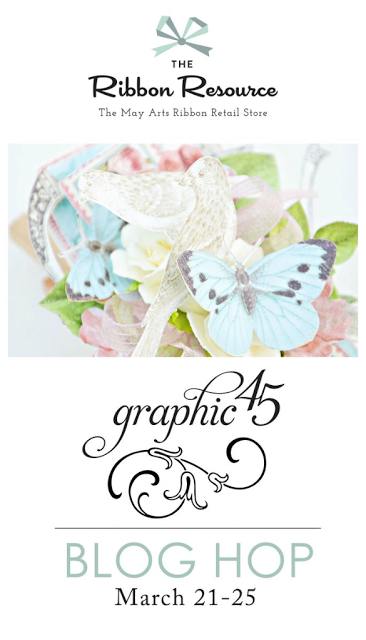 Graphic 45 has a prize worth $50 and includes May Arts ribbon so you can also create with their beautiful ribbon! A winner will be announced on the Graphic 45 blog on Friday. Good luck and happy hopping!